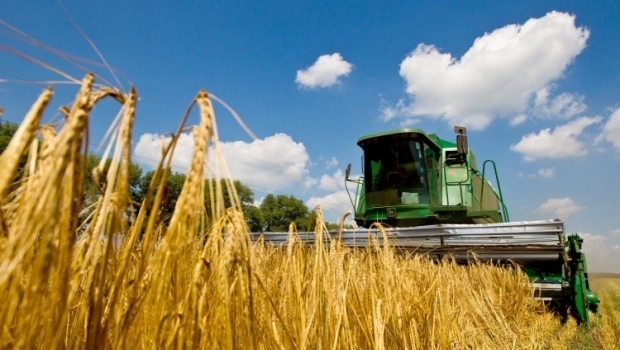 Ukraine is hoping for support from the European partners of Ukrainian farming companies on the issue of raising the European Union’s quotas for Ukrainian agricultural products, Acting Minister of Economic Development and Trade Valery Pyatnytskiy said at roundtable on Tuesday. Ukraine plans to discuss with the EU the possibility of increasing the quota for the duty-free supply of agricultural products to the European market, Pyatnytskiy said, according to an UNIAN correspondent. "We will raise the issue of a possible increase in tariff quotas," Pyatnytskiy said. He said a final decision on this issue can only be taken by the EU, as the preferential trade regime for Ukrainian goods was put in effect by the EU unilaterally. "Because these are autonomous preferences, it all depends on the good will of one side. If the [association] agreement [between the EU and Ukraine] were to enter into force there would be a mechanism for negotiation. But for these autonomous preferences the EU can simply decide for itself," the acting minister said. Pyatnytskiy said Ukraine was hoping for the support of the European partners of Ukrainian companies with regard to increasing the quotas. "Partner companies - if trade with Ukraine is important for them - can use their lobbying powers, and together we will achieve more," he said. According Pyatnitskiy, since the introduction of the European Union trade preferences in April, Ukrainian producers have used up 100% of the quotas to supply the European market with apple juice (10,000 tonnes) and honey (5,000 tonnes). The export quota for poultry meat has been 77% used up, and that for grain 70% used. As UNIAN reported earlier, on September 16 the Ukrainian and European parliaments simultaneously ratified the Ukraine-EU Association Agreement. The creation of a free trade zone between Ukraine and the EU, which was part of the agreement, stipulates the bilateral removal of trade tariffs within certain quotas, or without them. However, the Ukrainian side will not lift tariffs on European goods until 2016, while the EU introduced trade preferences for Ukraine at the end of April this year. However, Ukrainian farmers can still only export to the EU a few types of products - grain and industrial crops, poultry, honey, juice concentrate, casein, and fish.